In this legal podcast, Justin Beck discusses the entitlement of performing artists to workers’ compensation. In 2011, opera singer Wendy White fell from a platform eight feet above the stage during a performance. She suffered no broken bones, but resulting nerve damage prevented her from singing professionally and, because of these injuries, she moved to sue. But the Metropolitan opera claimed she was an employee that was simply doing her normal duties. Her case reflects some of the complexities surrounding workers’ compensation for performing artists. In this episode of Workers Comp Matters, host Alan Pierce talks to Justin Beck about the entitlement of performing artists to workers’ compensation. Their discussion incorporates exclusions in commercial general liability policy, the difference between star performers and the ensemble, and relevant cases, like Wendy White’s. Justin Beck is a law clerk at Thomas, Thomas & Hafer LLP in Pittsburgh, Pennsylvania. He concentrates his research and work in the area of workers’ compensation and employer’s’ defense. Alan Pierce: Welcome to yet another edition of Legal Talk Network and Workers Comp Matters. My name is Alan Pearce. 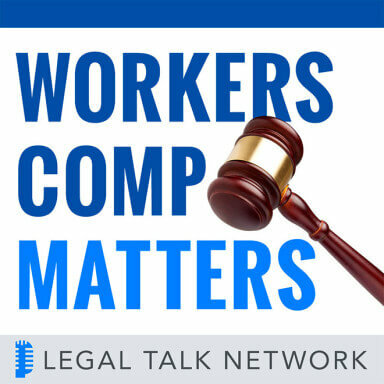 I’m an attorney at Pierce, Pierce & Napolitano in Salem Massachusetts and we’re bringing you another edition of Workers Comp Matters with a returning guest, Justin Beck. Just to give you a little background on Justin. He is not quite yet an attorney. He sat for the bar exam just a few months ago. He is currently employed as a law clerk at Thomas, Thomas & Hafer LLP in Pittsburgh, Pennsylvania. He also works as an academic research assistant for Judge, David Tory, professor of workers compensation law at the University of Pittsburgh Law School where he recently received his Juris doctor this past spring of 2017. He has served as an intern at the Commonwealth of Pennsylvania Department of Labor and Industry and the reason we invited Justin back is that he wrote an interesting article, or actually a review of another article, that we’re going to talk to that deals with the rights for performing artists to collect Workers Compensation benefits. Before we begin, we’d like to thank our sponsor Casepacer, a practice management software firm. They are dedicated to providing software for the busy trial attorney. To learn more, go to casepacer.com and our other sponsor is PInow. You can find a local qualified private investigator anywhere in the United States, visit pinow.com to learn more. So Justin, first of all congratulations on your degree, your future career as an attorney which I know is going to be successful and rewarding and more particularly for the article that you were able to publish that is entitled “Where’s the Orchestra? Employee Classification of Performing Artists,” so welcome to Workers Comp Matters. Justin Beck: Thanks so much Allen. Thanks for having me back again. Alan Pierce: Yeah I really found your article timely and interesting and Boston has a good theatre community. We have a lot of professional and nonprofit and community theaters and every once in a while we hear since we do claimant workers comp law as the major part of our practice, we will occasionally get somebody who is injured somehow and somewhere in the performing arts. And the difficulty at least for the performers is finding a way to see if there is some entitlement to workers compensation. So I think it’s appropriate that perhaps we begin with the New York experience especially as you will be able to tell our listeners, there has been some interesting legislative history and in fact judicial history with respect to the rights and abilities of performing artists to recover for injuries either in tort or via workers comp. So why don’t we begin by a discussion of the fact that New York being home to probably the largest area that has a concentration of performing artists, what happened to the particular problems that were addressed in defining who is entitled to workers comp in the performing arts arena? Justin Beck: Yeah obviously as you said New York is a hotspot for performers and so this is really a focus of the state of New York and an issue they’ve dealt with for a while. It goes back to really the turning point is 1986. Before 1986, many performers, performing artists, were musicians, singers were generally considered to be independent contractors. And many listeners will know that is a tale as old as time, figuring out if a worker is an independent contractor or an employee and that often decides whether they’re going to be eligible to receive not just workers compensation benefits but unemployment benefits and all sorts of insurance programs. Before 1986 like I said, they were generally, in New York, performers were considered to be independent contractors and there was a serious legislative push, a lobbying effort that was successful in ’86 and the New York legislature finally passed an amendment to their workers compensation law. There’s a little bit of a debate on whether we would call this a presumption but for our purposes we will. There is now a presumption that says performing artists, those in television, music, radio are presumed to be employees for purposes of workers compensation. That’s rebuttable. The traditional common law right of control test can rebut that. But since 1986 that has been the general law. Recently this came into question because in 2011, a famous opera singer at the Met Ms. Wendy White was involved in a work accident during a performance and that gave rise to some litigation and an effort by Ms. White to be exempt from this so she could bring her own tort suit and recover more damages than she otherwise would be entitled to. As we find ourselves today after her case reflecting on whether the grand bargain continues in New York for performing artists. Alan Pierce: You go into some detail in Wendy White’s case and just to give some background. This did involve the world-famous Metropolitan Opera and there was an accident to Wendy White, a mezzo soprano, during a performance of Faust on December 17 2011 and apparently she fell from a platform about eight feet from the stage. No broken bones, some nerve damage and what it did was it prevented her from being able to sing the way she used to sing. And she was offered or collected or was eligible under the 1986 statute for workers comp coverage because of this presumption that she was an employee but as you pointed out, she didn’t want the available remedy of workers comp and the reason I guess would be simple. Workers comp provides a percentage of lost wages that probably would be very limited given her higher earnings but she would not have any compensation at all for the loss of her career. So walk us through how she tried to creatively get out from under the workers comp statute, which is usually counter intuitive to what we’re doing is we’re trying to get people covered under workers comp for the most part. Justin Beck: Like you said, Ms. White knew that if she were to be considered an employee and only had access to the exclusive remedy of workers compensation the award would have been much lower. You’re looking at just lost wages and medical benefits versus the career-ending impact and potential award in tort of a traditional lawsuit. And so Ms. White retained lawyers and lobbyists and those individuals went to the legislature of the New York legislature and they in the first round attempted to obtain from the legislature a bill that would amend the workers comp law to provide for opt-out coverage for any musician or performer before any injury. And in his article Mr. Mars, he characterizes this as a throwback to the pre-1986 legal landscape and he kind of characterizes it as an adverse impact on musicians who lacked any understanding of opting out of a law like this and the loss of protections when you declare yourself an independent contractor. One interesting point here is that you may have a worker, who chooses to utilize that exemption is injured, returns to work and then they can’t invoke in the future employee status because they’ve already said — they’ve set a precedent for themselves and they have said I am an independent contractor. Now that very first bill or attempt of legislation failed. Governor Cuomo would not sign it. He said that it would violate that fundamental bargain of New York’s workers compensation System and so that failed. Actually three bills in total were presented to the legislature with the goal of getting Ms. White’s suit to proceed, and her suit was actually a breach of contract. I am assuming to some extent there were also personal injury aspects attached to it but those efforts failed in the legislature. 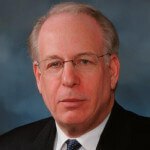 Alan Pierce: By the way that lawsuit was basically defended in whole or in part by the defendant citing the exclusive remedy provisions of the New York workers comp Law, filing a motion to dismiss or summary judgment saying, sorry Ms. White you cannot file a claim against your employer under the fact that they are immune from suit under the workers comp statute, is that correct? Justin Beck: It is correct. As the case went up though in the appellate courts, the court started looking at it in saying well there may be something else going on here Ms. White was actually an employee of her own company, Wendy White Incorporated and so the court started analyzing it through the lens of well maybe Ms. White is not an employee of the Met, maybe she’s an employee of her own corporation and the corporation worked with the Met. So while you had the legislative efforts going on, you also had the judicial track and the judicial track was finding some other reasoning to potentially allow this suit to move forward. Alan Pierce: Yeah that’s an interesting take because then if she were deemed to be an employee of her own corporation, the Met would then take on the status as a third party, somebody not within that narrow employer-employee relationship between Wendy White Inc. and Wendy White. How come that in and of itself wasn’t enough to go after the Met? Justin Beck: Well it gets around exclusive remedy and what’s funny about this is we never really find out how that ends. We never find out whether the court ultimately bought that argument whether that would have succeeded because as I was saying at the same time, the legislative efforts were going on and they succeeded. She eventually was able to obtain an exception specifically for her injury, an exception in the legislation. Alan Pierce: Yeah and I found that amazing and I guess it may speak to certain people who have greater access to remedies than the ordinary common laborer or worker, so tell us about the amendment that was passed by the legislature and was signed by Governor Cuomo, I think this past spring? Justin Beck: Yeah it was very recently in March of this year 2017, Governor Cuomo signed it into law. It’s what is known as a picture bill and my understanding of the picture bill that may be New York terminology is it is legislation limited only to one person one incident and it provided Ms. White with an exception to the workers compensation law and it permitted her civil case to proceed without deserving that broader coverage that the law permits to workers, may be similarly situated or just your average performer that is not Ms. White does not have the resources, the wealth, the leverage to obtain an exception. And so that is in my mind and also in speaking with Mr. Mars that’s why this succeeded eventually in 2017 because it was an exception in that it did not affect the rest of the industry. The average worker could still be injured on the job as a performer and would still receive workers compensation benefits whereas Ms. White, in this exception, it was so narrowly tailored that I was looking at the text of the bill itself, it only speaks to her incident on that day in that at the Met. And so given the narrowness of it the legislature was more comfortable, the governor was more comfortable and her attorneys and lobbyists were successful in obtaining that exception for her and it kind of rendered some of the reasoning of the appellate court’s moot because now the legislature had permitted her case to move forward regardless. Alan Pierce: Right this may be a good place to take a break and when we come back, I think we want to talk a little more about the White case because of a distinction that may or may not be within the four corners of any legislation defining who is a star versus who is anything but a star in a performance and how that may impact eligibility for benefits either in tort or in comp. And also taking this beyond the state of New York where what are the other issues including of general liability and some exclusions that maybe in some of those liability policies. So at this point, I think we’re going to take a short break here from our sponsors and we’ll be back with Justin Beck on the other side. Casepacer, the lead practice management software for today’s workers comp and plaintiff’s attorney, named one of the fastest growing companies in America by Ink Magazine. We’ve given attorneys and their staff the ability to work from anywhere on any device by automating workflows and streamlining non-revenue generating tasks Casepacer enables firms to grow their practice at minimal cost. To see Casepacer in action, contact us today at casepacer.com. Does your law firm need an investigator for a background check, civil investigation, or other type of investigation pinow.com is a one-of-a-kind resource for locating investigators anywhere in the US and worldwide. The professionals listed on PI now understand the legal constraints of an investigation are up-to-date on the latest technology and have extensive experience in many types of investigation including workers compensation and surveillance. Find a pre-screened private investigator today, visit HYPERLINK “http://www.pinow.com” www.pinow.com. Alan Pierce: Welcome back Workers Comp Matters with Alan Pierce and Justin Beck were talking about performing artists’ right to collect workers comp or to seek a tort remedy against their employer. We spent most of our first half of the show talking about a very interesting case the Windy White, Metropolitan Opera case, and as Justin pointed out in his article a lot of the court’s attention and the legislature’s attention had to do with, how you define, who’s entitled, who may not be entitled to benefits independent contractor employee. But it became an important issue before it became moot as to whether there was a difference between a so-called star performer and my Boston accent, this may be coming in its STAR a star of the show as opposed to the supporting and ensemble actors or an actresses so how did the concept of a star’s right to recover creep into this interesting legal journey of Wendy White and the Met? Justin Beck: Well the appellate court, when they were analyzing the comp law and the 1986 amendment they found that the legislative history did actually indicate that star performers were at one point intended to be exempt from coverage and they found that the statutory definition of employee sought to protect the vast majority of performers, who are not stars and the statutory exception was designed to exclude those performers, that had the clout, the ability to negotiate the terms of their own engagements. So it really came down to leverage. It came down to protecting the average working performer whereas star performers those with social connections, those with resources that could hire good lawyers you can put it that way they weren’t really to be considered as needing these protections in the 1986 amendments. But that language never made it into the statute at the end of the day and so the court considered it and as we said it became moot to some extent but it’s interesting that moving forward if we have another case like this in New York we now know that the courts are looking to this concept and they’re pulling that legislative history so if another star performer finds himself in this situation this could be a useful case, useful precedent for an exception again some time in the future. Alan Pierce: All right, so let’s say Wendy White is successful in being able to bring a tort action generally speaking the defendants are covered by insurance, oftentimes the insurance policy is a CGL or a comprehensive general liability policy, so you now have a defendant and you have an injury, you have new of damages, and now you’re looking for the mechanism of vehicle to collect those damages against. I’ve learned something from your article that I didn’t know which hopefully is a daily occurrence for me, there are certain exclusions in CGL policies and there’s one particular exclusion that may apply in cases like this. Why don’t you give us an idea of what that exclusion might be? Justin Beck: I also didn’t know this until I did the research for this article. Generally businesses, they have workers compensation, they have CGL for everything else and a lot of times you think well that covers everything that could happen. But actually there’s a common exclusion to CGL known as the entertainment industry exclusion, the EIE and this exists in many CGL policies I found. The provisions exclude any bodily injury, suffered by individuals that arises out of activities such as film, stage, plays, radio music that’s often the language they use in these provisions and these have impacted both entertainers and businesses. You have businesses that purchase CGL policies and performer is injured on the premises and this exclusion does not provide for coverage for that. You also have often entertainers going out. They do this for a living, again we’re talking about the working performers and they purchase CGL policies for their own business, just going out to different venues performing, they have their own CGL policy and when they are injured on the job and they try to make a claim for their own injury and have some coverage, it’s not there. The CGL policy has the exception and because the injury arose out of the performance, the actual music itself, a lot of these policies will not permit coverage and the musician is left on their own. Alan Pierce: And you’re a musician yourself so you probably particularly concerned, let me guess piano. Justin Beck: That is correct piano and voice yeah. Alan Pierce: So you’ve got to protect the fingers and the voice. So again from your article, there have been a lot of litigation or some recent litigation in California which is probably the other state that has the most concentration at least in terms of workforce of entertainers and this so-called embedded EIE or entertainment industry exclusion. So any of us that might be faced with a case defending a claimant a plaintiff business trying to ensure itself it’s good to know about EIE, you have to waive this as an exclusion or get it in there if you want it so let’s look elsewhere from New York and California where there’s probably a lot more litigation. You practice or you will be practicing but you are very versed in Pennsylvania law how would Pennsylvania as probably emblematic of most other jurisdictions treat the entertainers in these contexts? Justin Beck: Pennsylvania treats it as you said pretty similarly to most. This is a very common scheme of analysis. It’s the right of control test and they use this in New York as well. In Pennsylvania our leading case is Hammer Mill Paper, it’s a 1968 case and our workers compensation practice has kind of adopted it as the controlling precedent. And in that case for us here in Pennsylvania the Supreme Court established the factors to be considered when you’re trying to determine whether you have an independent contractor or an employee and some of those factors they range from the control the manner of work being done, the skill required for performance and whether one employer is engaged in a distinct occupation and interestingly I find this one always it really comes up, which party supplies tools. And you can see those factors apply to musicians. When a band shows up to a bar, they are bringing their own speakers generally. They’re bringing their instruments. They are bringing the chords, the cables and they are bringing a special skill set because nobody at the bar, the bar owner, the bartender doesn’t know how to sing, how to play an instrument, so it’s a distinct occupation. It’s highly specialized. You’re bringing the tools, so you can see how the analysis can sometimes weigh in that direction. Alan Pierce: Yeah let’s contrast that with an actor, the scenery, the set everything is designed by somebody else and talk about direction and control is a director not only telling you what to say, how to say it, how to move, way to move, do you see a distinction between actors and musicians? Justin Beck: The same analysis applies in that scenario again the same as control as a king. So if you have a director telling you exactly what to do, what to say, where to stand, they are providing the materials, whatever the scenario is the stage equipment the backdrop. To me that moves you towards employee status because yes you’re bringing a specialized skill but we all bring skills to the worksite. It’s a totality of the circumstances test and in that example, you’re starting to move that needle towards employee status. Alan Pierce: And there was such a case. It’s a bit older than most. It’s older than you, younger than me, it’s a Russell versus Torch Club case, a 1953 New Jersey case that you discuss. As we close the show why don’t you give us a brief rundown of the facts of Ms. Russell and how she fared bringing a workers comp claim? Justin Beck: It is a famous one in 1953 New Jersey, Ms. Russell was a nightclub singer pursuing a workers comp claim and she was found to be an employee rather than an independent contractor. Alan Pierce: Well let’s talk about what her job was. She appeared what four nights a week at this nightclub and her dress caught fire from a gas heater and burned her. So how did the right of control impact that case? Justin Beck: They talk about in that case a complete dominance by the employers master of the Revels famous language from this, it was the piano accompanist and he told her how to sing the song, which way to sing the songs, when to take breaks and in fact when she took breaks, how to speak to the crowd how to socialize and mingle, how to sit and drink with patrons at the bar. This level of control dominated the worker. It told them exactly what to do, when to do it, and based on that control that exercised degree of control, it created an employer-employee relationship and so that’s why she was entitled to workers comp benefits. Alan Pierce: As a matter of fact, I remember when I first started practicing, I worked at Liberty Mutual and we insured one of the bars and what was then known as the combat zone basically a lot of strip clubs and fairly seedy establishments, it’s called the combat zone is because the military police were there all weekend because mostly the sailors and soldiers on leave that’s where a lot of them would go. And one of the strippers broke her arm when she fell off a barstool and she filed for workers comp. Liberty, held the policy for the club and apparently she’s on the barstool because part of her job was in-between her dancing on the floor, she was again supposed to mingle with the customers have them purchase the drinks I think a watered-down beer was probably $10 and $15 and somehow she fell off the stool and broke her arm. The Industrial Board never went any further than the industrial board but there was a ruling that because if she were injured while stripping, she probably wouldn’t have been covered but she injured under the direction and control of being required to mingle with the customers, get them to purchase drinks, etc. so the exercise dominance of control there was a very fine line. So having said that Justin I want to thank you for appearing on Workers Comp Matters, for your article if somebody wants to reach you, how might they find you. Justin Beck: They can contact me anytime through email. My email is HYPERLINK “mailto:[email protected]” [email protected] happy to forward the article or answer any questions. Alan Pierce: Alright once again, Justin thank you for joining us here on workers comp matters but those of you listening please rate us on Apple podcasts and tune in to our next show and otherwise go out and make it a day that matters. Thank you for listening. Thanks for listening to workers comp Matters today on the Legal Talk Network, hosted by attorney, Alan S. Pierce. Will we try to make a difference in workers comp legal cases for people injured at work. Be sure to listen to other workers comp matters shows on the Legal Talk Network your only choice, for legal talk.